Cardinal Séan Brady yesterday consecrated Monsignor Brendan Kelly as bishop of Achonry. The ceremony of his consecration took place at 3.00pm in the Cathedral of the Annunciation and St Nathy, Ballaghaderreen, Co Roscommon. Bishop Kelly said that his priorities as bishop would be first of all to get to know his priests, and then to set about visiting the parishes of the diocese so as to get to know the people. 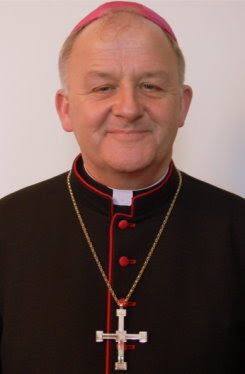 Bishop Kelly has up to now been in ministry in the Galway diocese. “Even the geography of the place here is a mystery to me!” he said. The diocese of Achonry has about 40,000 people spread over county Roscommon and parts of Sligo and Mayo. His other priority will be to get to know what is involved in being a bishop, even from an administrative point of view, and ensuring that he has enough “supports” in place both at practical and spiritual level. Bishop Kelly is a member of the Fraternity of Jesus Caritas, a fellowship for priests and another lay group. “I have always had a spiritual director and a group of priests that I pray with and support from lay people,” he said. He has also had a connection with people with learning disabilities for many years, and in 1995 served as chaplain with a l’Arche community in France. He believes that the new movements, like l’Arche, play an important role in the Church. 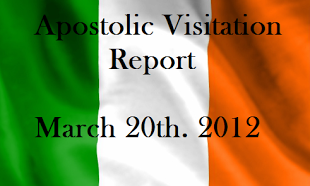 “This is happening very quietly in every parish in Ireland. The Word of God, through things like ‘lectio divina’, is inspiring people. There are many very loud and sure voices in the world today, but the still small voice of the Gospel is the one we need to get people to listen to. “People will come to church not so much out of a sense of external obligation, but out of an awareness of their own needs and desire to hear the word of God and to be nourished, and to belong to each other and pray together. That is the Church of the future, and it is the only church that young people find attractive,” he added. Bishop Kelly was consecrated Bishop of Achonry by Cardinal Brady. Archbishop Michael Neary, the Archbishop of Tuam and Bishop Thomas Flynn, Bishop Emeritus of Achonry, were co-consecrators. Bishop Brendan Kelly was born at Derrybrien, Loughrea, Co Galway in 1946. Second in a family of nine children, he attended St Mary’s College, Galway, from 1959 to 1964. He began his studies for the priesthood at St Patrick’s College, Maynooth, in 1964 and was ordained a priest for the Diocese of Galway in 1971. At Maynooth he obtained a Bachelor of Arts and a Bachelor of Divinity, and later obtained a Higher Diploma in Education at University College Galway in 1973. Having served for a year as Curate in the Parish of Kinvara, Co Galway, he held a number of academic posts, at the diocesan post-primary college, Coláiste Einde, and in Our Lady’s College, Gort. On Sabbatical in 1995, he served as Chaplain to the “L’Arche” community at Cuise-la-Motte in France. 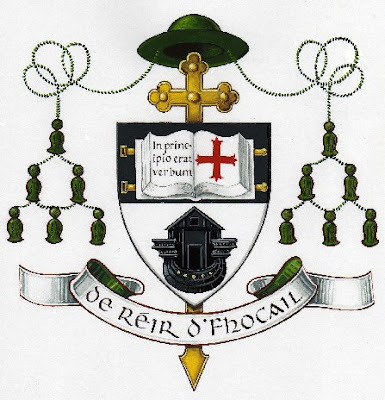 On his return in 1996 he was appointed Parish Priest of Lisdoonvarna, Co Clare, and on 19 June 2002 he was created a Canon of the Cathedral Chapter and became Vicar Forane for the deanery of Kilfenora. Since 2003 he has been Parish Priest of Spiddal, Co Galway.